It's March and I'm sitting in my backyard, my freshly mowed backyard, my thrice over freshly mowed backyard. It isn't usually like this in the formerly rainy Portland. I historically haven't had the luxury of lounging outside in the early spring. I've normally been at least damp if not soaked. While I'm not looking forward to the dry burning summer I am envisioning, I will enjoy the moment. Hopworks is an awesome brewery, from their electricity generating bikes to their pizza with a shout out to my favorite area code. 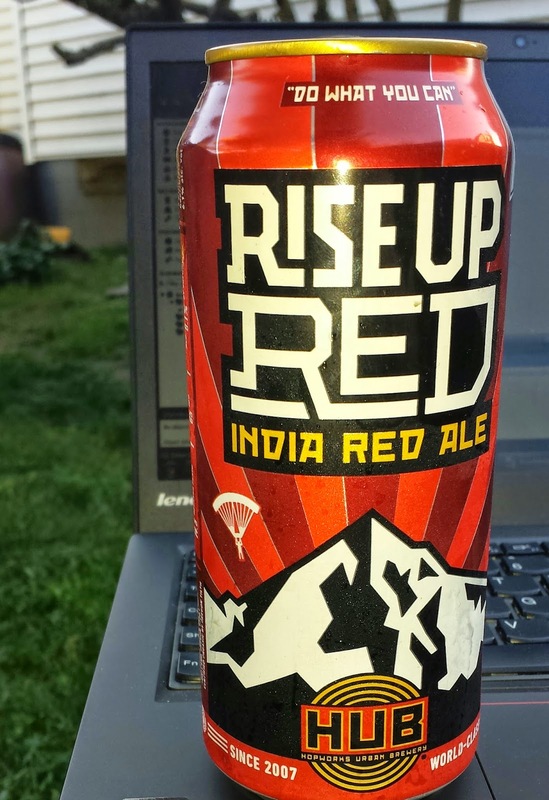 A red isn't generally my first choice of beers, but add India in front of anything makes it better. India Pale Ale, obviously. India for lunch, pass the dal and naan! India co-working, I'm think of you Nandu. I like hops and, as far as beer is concerned, adding India to the name mean you've added more hops to the kettle. This isn't a tongue splitter, clocking in at 65 IBUs and at 6.1% hits a good spot on the Ballmer Peak. That's important and I'm working on the database that will be powering this site, soon, in the near future, someday, I hope. Dead, yet dreaming...covers Narragansett Brewing Company properly, a very old brewery who's name has been resurrected. 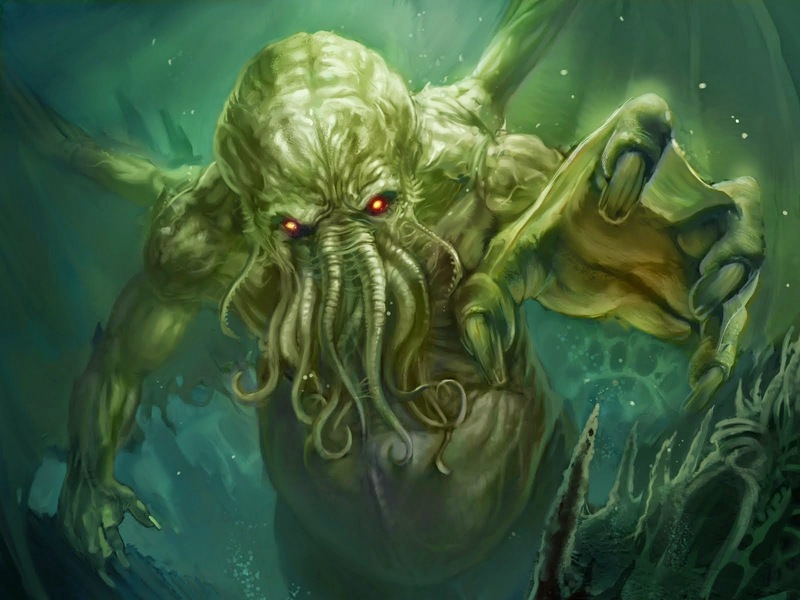 Returning from the dead I would have expected a beer bearing the name and likeness of H.P Lovecraft to be brutally dark with an ABV designed to drive a man insane. Instead we see a Honey Ale with respectable 7%. With 72 IBUs it ranks higher than most Narragansett beers, most of which fall on the lower end of that scale. 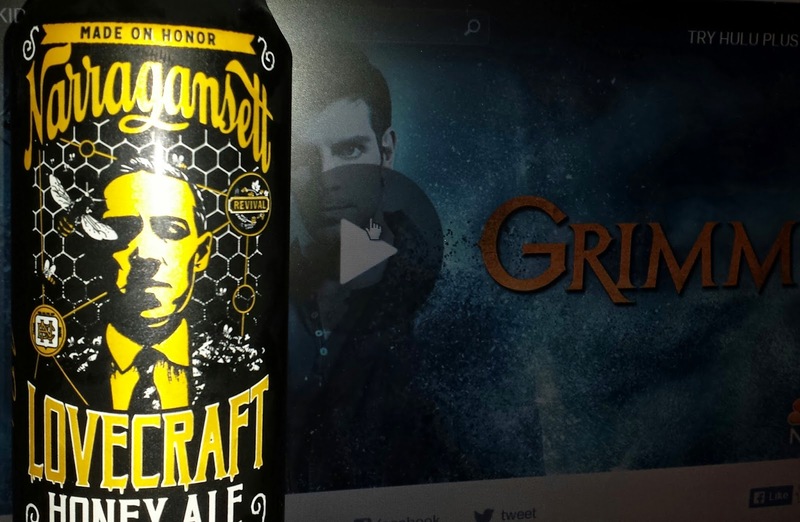 It worked well to pair this beer with the latest Grimm episode. The "herbal hop crescendo" described by Narragansett helped me sympathize with the bunny wesen and I can imagine HPL would have enjoyed the transformation of Juliette into a Hexenbiest. Who wouldn't want to have a beer with this guy? 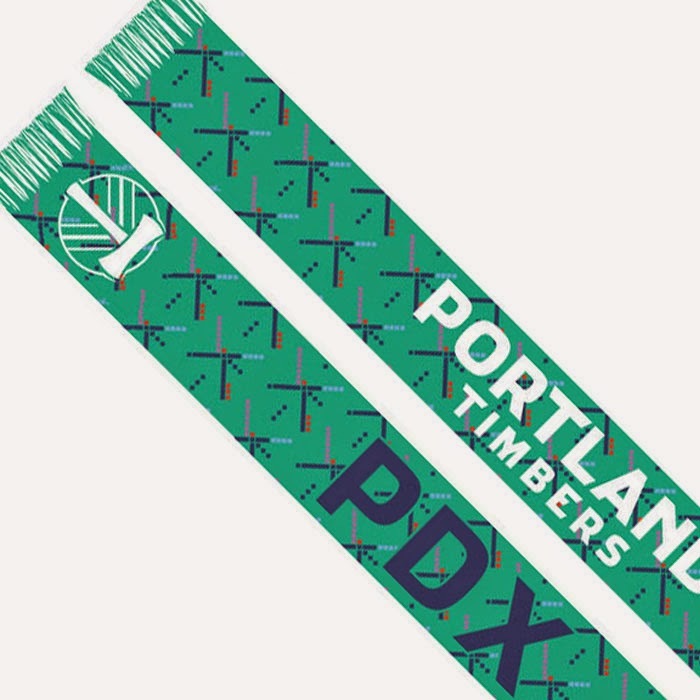 Our famous PDX Carpet can now be had in many forms, from actual pieces to socks or scarfs to stickers or even as a Grand Marshall of a parade. I have my piece of carpet in beer form naturally. 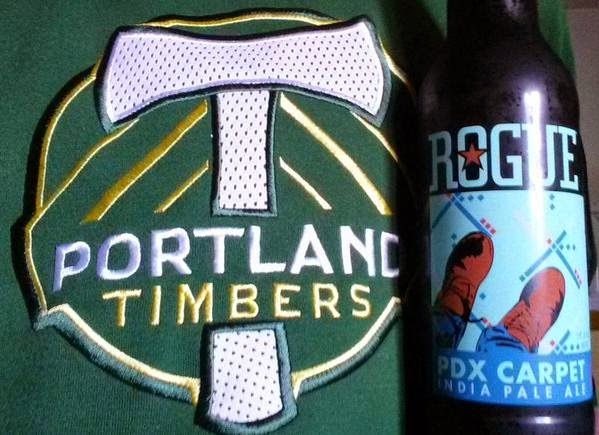 PDX Carpet India Pale Ale is billed as "a non-traditional IPA with big citrusy, hop flavor and intense hop aroma." Sounds and tasted like a pretty traditional Northwest IPA to me. When I root I root for the PDX Carpet! People are pretty obsessed with this carpet and Rogue has been known to do some pretty odd things with beers. I'm glad this wasn't made with yeast harvested from the carpet or dry hopped with carpet remnants. It was a pretty frustrating beer with several chances, but ultimately no scores over 90 minutes. Wait, that was the Timbers vs Sporting KC 0-0 draw I was watching at the time. This is a tasty IPA and I'm glad to have some of the carpet without going with a shirt or tattoo. Way back in the early aughts I started collecting bottles and cans of beers I had enjoyed. Three hundred fifty some containers and nearly a decade later I began to log them. Several years after that brings us to today, beer #600 has been added to my collection and this site is now up, yet very much a work in progress. 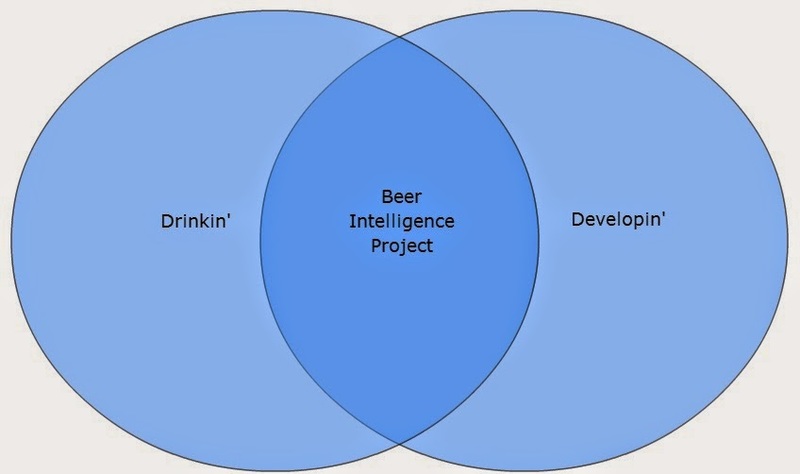 It will be a data driven extravaganza, a visualization of my imbibing, a Venn diagram where bad habits (beer drinking) and good/geeky habits (database administration and web development) overlap. Beer #600: Peanut Butter Cup P-51 Porter by Wingman Brewers in Tacoma Washington. Like the Venn diagram that is this site, PBC Porter takes two great tastes and blends them together in a dark beer format. I picked this one up at The Hop and Vine, along with a few others, looking for something special that would properly commemorate this event. This beer is most certainly special. It's not a combination most people would pick in a beer, but it's one I couldn't pass up. The aroma is sweet and straight up PB. The hop bitterness comes through a bit much for what I think should be a sweeter dessert type beer. I wouldn't pair this beer would food, but am enjoying it while I work on this site. PBC Porter is part of the Wingman Brewers P-51 line up which includes a straight up Porter as well as many other additions (Bourbon Barrel, Chili Pepper & Sichuan Peppercorn, Chocolate & Orange, Coconut , Coffee, Libertine Cha Cha Spice, Mexican Hot Chocolate, Peanut Butter & Coconut, Pomegranate, Pumpkin, etc). Some of these sound more appealing that others. I'd definitely pick up the Bourbon Barrel and Chili Pepper as well as the Coffee and Mexican Hot Chocolate, but would probably pass on the Coconut, Pomegranate and Pumpkin. I hope I see these beers in my local shops.